Discription: Glisten Dental Lab was established as a high-end dental workshop in HK in 1997 by Dr Tsang. It is a full service dental lab which makes all kinds of fixed and removable restorations, like conventional crowns&bridge, framework, implant crown, attachment, CAD-CAM zirconia, Emax, telescopic, valplast denture, etc. The entire manufacturing process starting from pouring models to finished restorations strictly follows the most advanced dental techniques and in compliance with the international inspection standards. 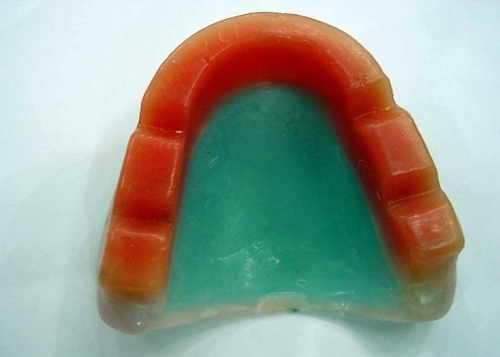 In 2003, Glisten Dental Lab moved to Shenzhen with an ever-increasing case volume. Now the lab has more than 100 skilled technicians and remains one of the most outstanding and professional dental labs in China. The lab attaches great importance to internal training and self-study to improve the level of professional know-how. The employees can feel humanized management system and safe work environment here, just like a harmonious big family, thus the yearly turnover rate remains below 5%. With mature fabrication technique and perfect SCM system, we always try our best to reduce the cost without weakening the quality to benefit our clients. Last but not the least, we believe all our clients can find great balance between high quality and affordable price here.